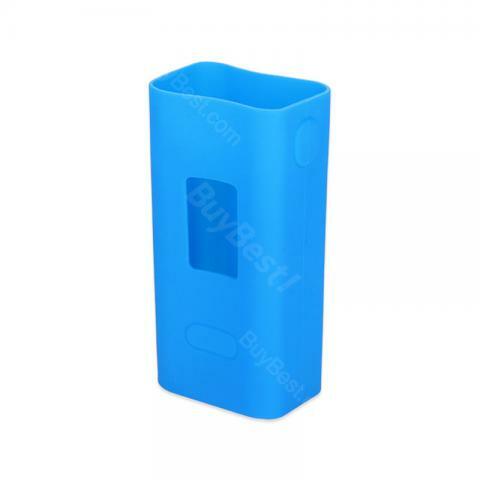 JoyeTech Cuboid Silicone Rubber Skin, is designed for JoyeTech Cuboid MOD 150W. This rubber skin will not only protect your Cuboid from scraping, but also give Cuboid a new look. JoyeTech Cuboid Silicone Rubber Skin, a very practical accessory, is designed for JoyeTech Cuboid MOD. 5 colors available. This rubber skin will not only protect your Cuboid from scraping, but also give Cuboid a new look. • If you experience any leaking form your atomizer, make sure to check and clean any e-juice that may be gotten between your Cuboid and the case. I was surprised at the quality of this case. It even has the Joyetech logo as well as cuboid 150w imprinted on the case. Thick rubber that covers everything perfectly. Even leaves a space for battery changes and USB port. Joyetech Cuboid Silicone Rubber Skin is made of silicone and available in different colors. Silicone Case Soft Rubber Skin is made exclusively For E Cig Vape Joyetech. I keep breaking my vape because I'm a klutz and always drop it. I actually bought two sleeves and layered them together and they fit perfectly and do the job! Just one didn't fit real tight.